Royal Caribbean is gearing up for the launch of its two biggest cruise ships yet; The Quantum of the Seas and The Anthem of the Seas. In anticipation of these launches, Quantum Global Odyssey cruise dates are announced in good time for cruise passengers to book a 57-night epic journey around the world. 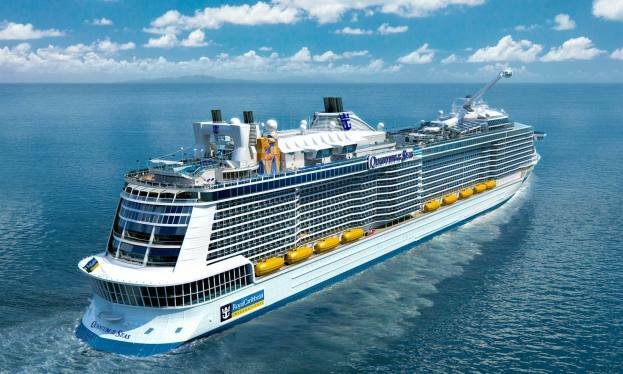 The Quantum Global Odyssey will open for sale on May 20, 2014, for Royal Caribbean’s Crown & Anchor Society loyalty members and on May 22 for the general public. Quantum of the Seas will set sail after the ship’s inaugural winter season in New York. on an almost two-month, epic voyage around the world via the Atlantic Ocean, Mediterranean Sea, Arabian Gulf and Indian Ocean. Passengers can also choose to join the ship on six cruises comprising three- to 16-night itineraries, departing from New York, Barcelona, Dubai, Singapore and Shanghai. 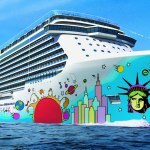 The two new ships will be introducing a new set of on-board experiences, such as a skydiving experience, SeaPlex, an indoor sports and entertainment complex with bumper cars and roller skating some of the largest and most advanced staterooms on the seas and a new Quantum-class “Dynamic Dining,” offering 18 restaurant concepts including speciality restaurants created with partner-chefs Jamie Oliver, Devin Alexander and Michael Schwartz. 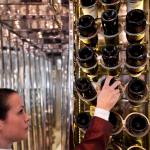 The Quantum Class spans 18 decks, encompass 167,800 gross registered tons, carry 4,180 guests at double occupancy and feature 2,090 staterooms. 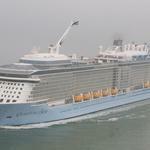 More information on Quantum class is available at http://www.royalcaribbean.co.uk/.